PLAINVILLE - Radio personality Steve Parker this week honored a friend whose life was cut short. 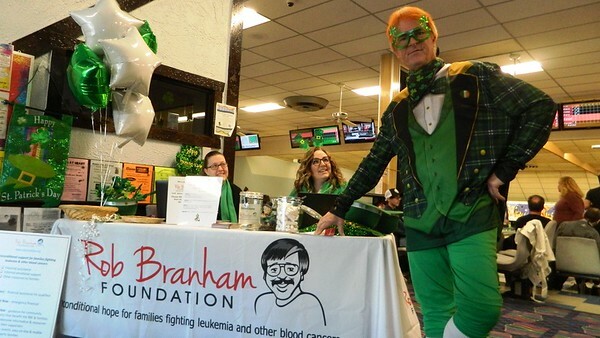 The Newington resident celebrated the late Rob Branham over beer and bowling Sunday at Lessard Lanes in Plainville. 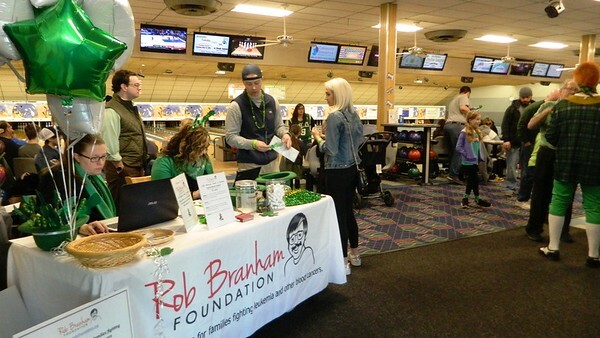 It was the second annual Bowl & Brews fundraiser to benefit blood cancer patients through the Rob Branham Foundation. As one of the non-profit’s founding members, Parker arrived disguised as “Shawn the Leprechaun” for St. Patrick’s Day. “Rob was the kind of guy who was totally crazy - that’s why we’re calling it FUN-draising,” Parker said of his friend, who died from complications of leukemia in 1993. Branham and Parker worked together at WDRC for years. Branham would have enjoyed making an event of bowling and beer drinking, Parker pointed out, as many others did in his honor Sunday. “Everything he did was about fun,” he said. The program Rob Right Now! Provides immediate emergency assistance to families that face an extreme conflict, such as possible eviction, loss of utilities or even something as simple as needing groceries. Rob Direct provides ongoing financial assistance to those in treatment for whom regular living expenses become a challenge. They apply to receive help through hospital social workers. Bowl & Brews is one of three major fundraisers the foundation runs each year. Coming up on Saturday, May 18, board members will take part in Driven to Wine! - a bus tour of three wineries in Litchfield County. Then Raise a Paw Against Leukemia is set for Sunday, October 6, at the Simsbury Meadows. Groups looking for a charity cause to support are encouraged to hold their own fundraisers for the foundation. Lessard Lanes is a popular site for charity functions. The fundraiser was also about reaching a larger audience to generate support. Posted in Newington Town Crier, Newington News on Thursday, 21 March 2019 09:02. Updated: Thursday, 21 March 2019 09:04.